Come enjoy the comfort that awaits you at the Best Western Langley Inn! Whether your plans include a brief business trip, a leisurely vacation or an extended stay, our warm inviting atmosphere, congenial staff and hosts of fine services, help to make every stay a most enjoyable one. Unhurried and uncrowded! Welcome to the Countryside of Vancouver, located just 45 minutes east of Downtown Vancouver, with a variety of recreational activities that will impress you and your whole family! 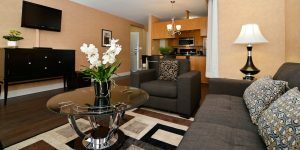 The Best Western Langley hotel is centrally located and is within minutes of Shopping, Restaurants and recreational activities. We are certain that our 78 newly renovated designer guest rooms will meet or exceed your every expectation. We are pleased to offer the following hotel amenities with your stay: Complimentary expanded continental breakfast, indoor pool, hot tub, fitness room, business centre, on-site Ricky’s Country Restaurant & Lounge, conference facilities and Free Parking. Our professional and caring staff are looking forward to making your next stay with us a memorable one. Contact us at 1-888-530-9311 to book your room today or check availability online. We look forward to welcoming you to our award winning location in Langley. It’s no wonder we have received the “BEST OF THE BEST“ in the hotel category for the last 6 consecutive years.